How does one decide if a store remodel is necessary and, if so, what areas can be targeted to maximize profits and get the best ROI? 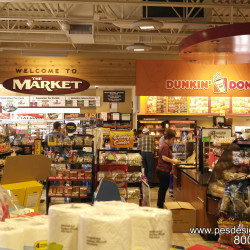 A c-store remodel is not an inexpensive venture. A complete remodel for an average sized store can cost between $100K – $200K. Not all owners are in a financial position to be able to afford a full renovation of their store or stores. Yet, as we move forward we see data that suggests changes to old models are necessary if one wants to keep up pace with the demands of consumers. So, how does one decide IF a remodel is necessary and if so, WHAT areas can be targeted to maximize profits and get the best Return on Investment? First, let’s look at consumer trend data. In a recent survey by Technomic* about half of consumers said they would probably visit their favorite c-store more often if it were remodeled into a larger format. As you dig down into the demographics, you see younger consumers—Generations X to Z—are most enthusiastic. In fact, 52% of Generation Z (16- to 19-year-olds) and 60% of millennials said they would be willing to go out of their way to visit a large-format store. Forty-three percent of all consumers would be more likely to visit a larger-format c-store instead of a restaurant for food. And for Generation Z and millennials, this figure bumps up to 46% and 53%, respectively. Finally, a whopping 83% of consumers say a store’s cleanliness would likely affect their c-store choice. Based on this survey, two issues appear at the forefront of consumer opinion here: Store Size and Cleanliness. What’s so great about large? Studies have shown a bigger store suggests greater variety within. In fact, nearly 70% of consumers said they are likely to visit a site with a wide variety of food and beverages. open up enclosed spaces to create a sense of space and “size” in their store. Remember, it’s not necessarily the size of the store that attracts consumers. Rather, it’s the perception of variety that draws consumers. 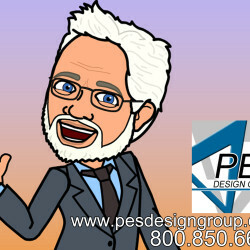 This is where the services of a Professional Design Consultant are necessary. A good consultant will be able to redesign a store into a model of efficient flow using equipment and an interior design scheme that creates a sense of size and variety and incorporating the latest in c-store trends. 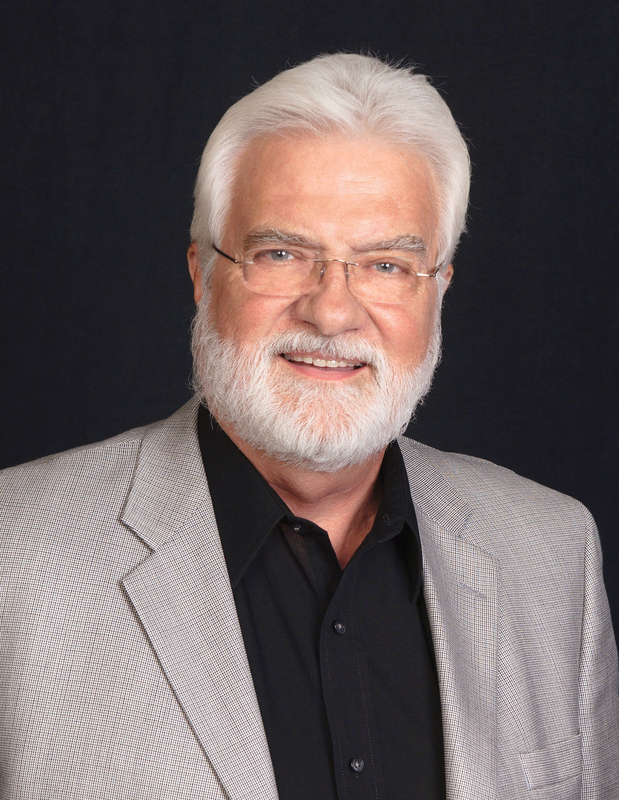 I’ve always said that it is easier and, certainly, less expensive to keep an existing customer than it is to acquire a new customer. Considering that 8 out of every 10 new customers that step foot in your store will decide whether or not they will return based solely on the cleanliness of your store, can you understand how important of an issue cleanliness is? Cleanliness does not only apply to dirty counters, floors, washrooms, etc. The perception of cleanliness is also determined by clutter. Clutter also contributes to the perception of store size. Cluttered stores will be perceived as small and unkempt, whereas clean and uncluttered stores will feel open, large and have a sense of cleanliness thus boosting customer confidence. 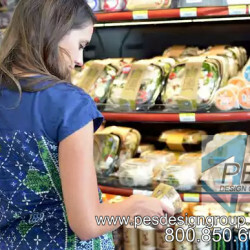 Besides the obvious — keeping your store clean — an owner may look to the services of a Professional Design Consultant who can redesign a store in order to eliminate clutter while still providing maximum merchandising effect and flow and providing the perception of a well-kept environment. FULL REMODEL OR PARTIAL REMODEL? Remodel cost vs business equity (click here for an example of how to determine business equity) . Potential Increase in sales/profits and Return on Investment (ask us about our proprietary software that will assist you in determining ROI of a remodel). For this discussion, let’s assume one cannot or chooses not to remodel the entire store. Therefore, what areas can be targeted for a partial remodel to maximize profits and get the best Return on Investment? To determine what profit center(s) should be targeted for remodel let’s take a look at the most recent in-store category data** to determine what category(s) contributes the most to a store’s Gross Sales. As we look at average in-store sales contribution data from 2014, we see that Cigarettes and Tobacco (OTP) topped all other categories and contributed a total of 39% of all inside sales. Food Service (including Fountain and Frozen Beverage Sales) came in a distant second place with 20% followed by packaged beverages at 16%. We’ve determined who the category leaders are with regard to gross sales. 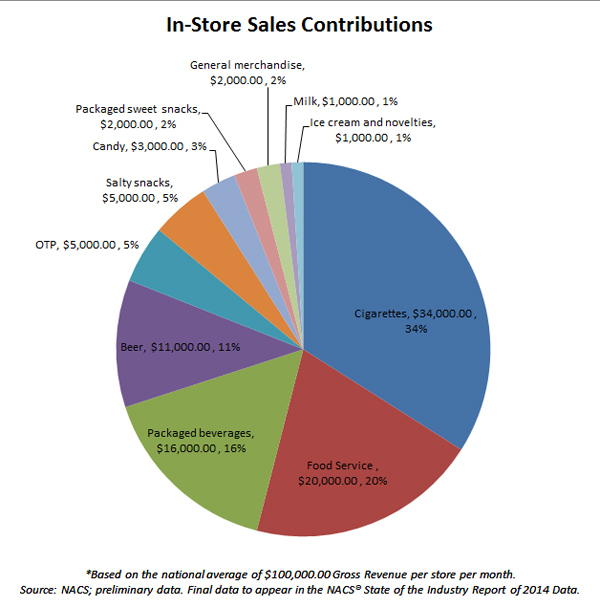 Now, let’s take a look at which category contributes the most to a store’s bottom line. Again, we see here that Cigarettes and Tobacco (OTP) are strong category leaders contributing a total of 20% of a stores gross profit. However, the category leader in gross profits is Food Service touting a 36% contribution followed by Packaged Beverages with 20% contribution. The highest profit margins are found in the Food Service category at 56.41% margin, followed by Packaged Beverages with a 39.8% margin. The overall convenience store Food Service category includes: food prepared on-site, commissary/packaged sandwiches, hot dispensed beverages, cold dispensed beverages and frozen dispensed beverages. What the trend data shows us is that the category, while providing a 56.41% gross profit margin, contributes 36% of all gross profits and 20% of all in-store sales. 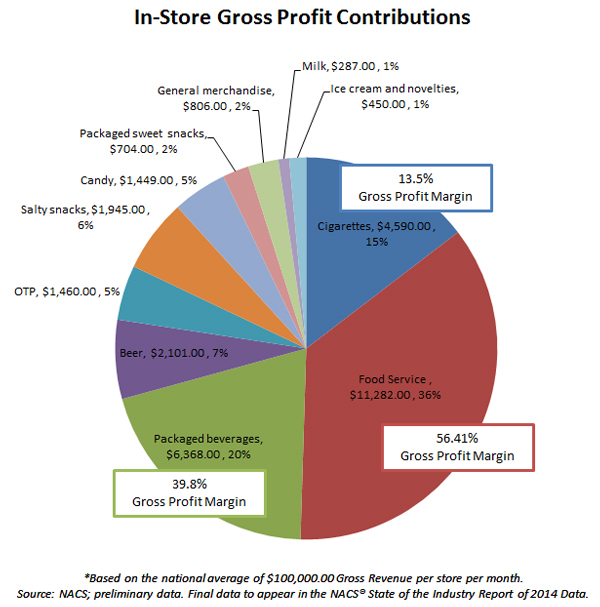 Considering that in-store food service sales saw a 9.7% increase in sales and a 9.8% increase in gross profits between 2013-2014 we can assume that the contribution of gross profits from this growing category will only increase in the years to come. Therefore, Food Service tops our list as the number one profit center to focus on when considering a store remodel. To further support our conclusion, consider a recent survey of Millennials***: A whopping 82% of Millennials asked said they “would like to see improvements to c-store environments to make them more appealing (for buying prepared foods)” with 41% of those looking for “major changes” before feeling comfortable buying freshly prepared foods. The simplest changes can be to update cabinets, counters, decor and equipment in your existing Food Service, Coffee and Fountain areas providing customers a clean, efficient and attractive environment to purchase offerings. A more radical approach would be to add a QSR or brand name franchise into your store or changing the overall layout of the store to feature your food service offerings. with regard to improving the food service program in your store. Our pick for the number two area to improve is the Packaged Beverage category. Although this category ranks third in in-store gross sales, it contributes 20% of a store’s gross profits with a generous 39.8% gross profit margin. This category is also one the simplest areas of the store to improve if the infrastructure is already there. Some suggestions are: changing cooler doors from old style frames to new and modern frameless or French-style doors providing a more generous viewing area of product. By updating product shelving and rethinking your merchandising plan for each door may reveal opportunities to offer more product variety. A more significant step would be to add on to or replace your existing walk-in with a larger box and more doors. Changes to your walk-in will also positively affect the Beer category. Although, not in our top three areas of focus, the Beer category does contribute 11% of gross sales and 7% of gross profits. Again, our C-store Design specialists will be happy to discuss your best options with you. Our third and final pick for an area of focus, when considering a partial remodel, is the Cigarette and Tobacco area. Although this category has a smaller profit margin of 13.5%, its total average contribution to a store’s gross profits is 15%. That’s significant enough to make our top three. In their blog post from March 2014, entitled Boost Tobacco Sales With Better POS Displays, online tobacco fixture retailer TheCstoreEstore.com states “There is nothing that determines your tobacco sales more than an effective or ineffective POS display.” They go on to suggest, “Perhaps the reason your tobacco sales are not where you wish is because your point of sale fixtures and merchandising are not accomplishing the five steps of selling. Maybe it’s time to upgrade and improve your point of sale displays to BOOST tobacco sales.” We agree wholeheartedly! When these purposes are accomplished inventory moves, tobacco sales go up and profits are realized. Isn’t that what YOU want? Improvements that can be made to your Cigarette and Tobacco area can be a simple upgrade of fixtures that are more attractive and provide better merchandising display. Certain fixtures also meet Tobacco Company requirements for negotiating bigger discounts and gaining better buying power. A more drastic approach would be to re-design the cashier counter in order to increase cigarette and tobacco offerings including new, growing categories such as vape and e-cigarettes. TheCstoreEstore.com offers the largest selection of Cigarette Displays and Tobacco Merchandisers. They offer entire custom wall merchandising systems as well as simple-to-install tobacco pusher kits that can be easily customized to fit your needs. You can contact them directly by visiting TheCstoreEstore.com or for a complete redesign of your cashier counter contact us at 800.850.6638 to discuss your new design ideas that fit your store and your budget. Finally, as with any investment, one must always consider the cost and ROI. Fortunately, using our proprietary software, we are able to advise you as to what your total investment might be, what your expected increase in gross sales may be and what you can expect as a Return on Investment. Simply contact us for a FREE consultation. *Technomic’s proprietary research, trend analysis, forecasts, common-interest studies and state-of-the-industry reports impact growth and profitability for clients by providing consumer-grounded vision and channel-relevant strategic insights through survey and consumer data. **Source: NACS; preliminary data. Final data to appear in the NACS® State of the Industry Report of 2014 Data. ***Consumer Attitudes Reveal Opportunity for C-Store Foodservice, Published in CSP Daily News, April 8, 2015.